Beistle 53053-TEM Moveable Thermometer Banner. 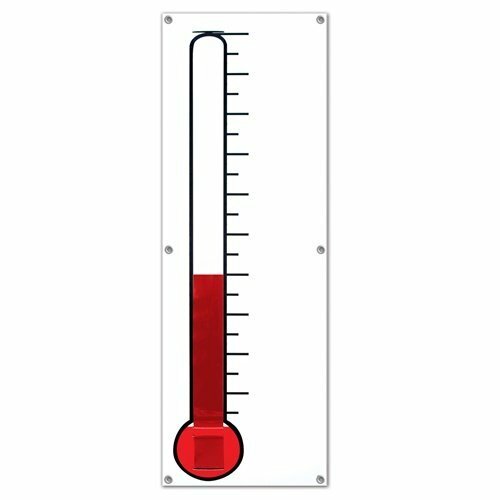 This thermometer banner measures 5 feet 3 Inch by 19 Inch. It is a white banner with metal grommets and a printed image of a thermometer. The red piece is able to be moved up and down. The area to the right is blank and can be personalized.